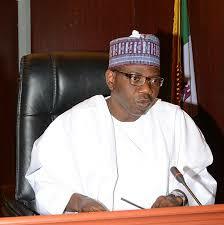 23 Kwara lawmakers deny taking bribe to defect to PDP – Royal Times of Nigeria. All 23 members of the 24-member House of Assembly in Kwara, including the Speaker, have denied financial inducement for their recent defection to the Peoples Democratic Party (PDP). The lawmakers were alleged to have each collected fifteen million naira to defect from the All Progressives Congress (APC) to PDP on the first of August. But the 23 members, at plenary today, denied being induced with money for their decision to quit the APC. Each of the defected lawmakers, in their defence, described the allegation as unfounded and a calculated attempt to tarnish their names. They accused the only APC lawmaker in the house, Saheed Popoola, as being responsible for the alleged rumour on social media. The lawmakers claimed that their defection to PDP was purely on personal conviction devoid of any financial inducement. However, Popoola in his reaction, refuted the claim by his colleagues of being the author of the alleged rumour, and challenged them to produce evidence or testimonies against him.